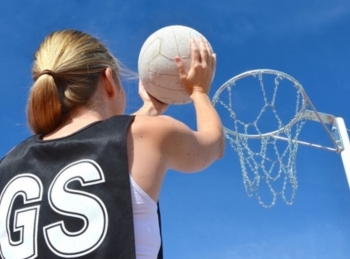 Did you enjoy playing netball at school and would like to play again in a friendly non-league environment? Or perhaps you've had an injury or don't feel as fit as you used to? Well, this is an opportunity to rediscover the fun of the game. Please don't be put off if you haven't played for a few decades - you'd be in good company! 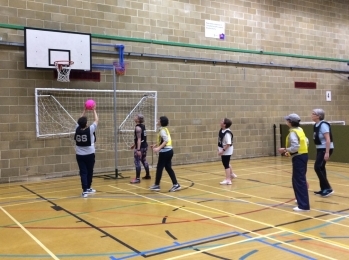 Sessions take place on Sundays from 11.00am -12.00noon (on dates as indicated below) in the sports hall at Moulsecoomb Community Leisure Centre, Moulsecoomb Way, BN2 4PB. In the interest of safety to yourselves and others, players are requested to remove all items of jewellery before playing. There's a charge of £3 pp per session, less if you're a Freedom Leisure member (further details of this available from Joy). To avoid clashing with BLAGSS Walking, we usually meet on the 2nd & 4th Sunday of the month (11.00am - 12.00noon). See below for any temporary changes to this arrangement. Following the success of our recent friendly match, when we invited some guest players along, it's hoped we'll be able to do this on a regular basis. During any interim sessions we can work on skills and tactics should there be insufficient participants for a full match. Please sign up below if you'd like to take part in this session. 4 members are already going. Sign in to see who they are and add your name. 3 members are already going. Sign in to see who they are and add your name. 2 members are already going. Sign in to see who they are and add your name.